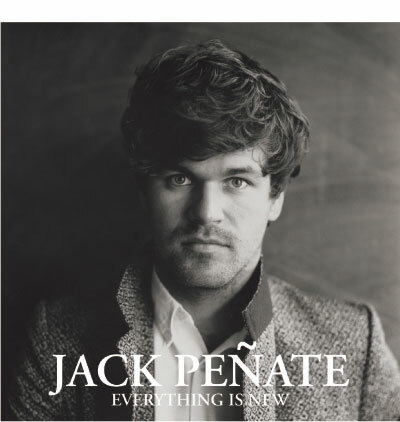 Jack Peñate is desperate for you to forget his first album, Matinee, and focus on his new one. In case the message wasn’t clear enough, it is right there in the title, Everything Is New. Peñate has reinvented himself as a brand new entity. Gone is the self-indulgent, snobbish, and superior attitude of the debut. In its place is carefully crafted modern-day soul — not in the conventional sense, however, but the British interpretation of it. This means emotive vocals that aren’t overwrought with vibrato. Rather, Peñate showcases his vocal abilities with empathy and genuineness of emotion that have no choice but to ring true. Afrobeats, handclaps, and scatterings of a gospel choir charge these tastefully melodic songs. Driving world rhythms are the identifiers of “Let’s All Die” and “Give Yourself Away”. But it is the heralding horns and tough dance pace of “Be The One” and the bold statements of “Tonight’s Today”, balanced against island-tinged percussion, that give the album its bite. With Everything Is New, Peñate has redeemed himself enough to inspire us to hit “reset” where he’s concerned.